Governor Andrew Cuomo today announced the award of $23.6 Million under the Governor’s State Aviation Capital Grant Program, awards that will support airport modernization, operational improvements and safety enhancement projects statewide. 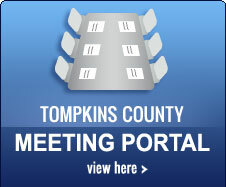 This information from Alcohol & Drug Council of Tompkins County republished here. Senator Chuck Schumer was at Ithaca Tompkins Regional Airport today to pledge support for the ITH renovation project. With the first phase underway, Schumer launches a major push to secure $10M to get Phase 2 off the ground.